If you’re looking for great cannabis gifts for the ganjapreneur or cannabis aficionado in your life, look no further. We’ve compiled a comprehensive list of the most interesting, useful and entertaining gifts available. Anyone who takes their cannabis seriously will undoubtedly have all kinds of equipment they need to keep track of. Why not grab a unique storage solution for all those loose pieces? This smell-proof bag from Black Rock OG is perfect for the cannabis professional in your life. The carry-all is discreet and its smooth style doesn’t clash with business attire. The Black Rock Carryall is the size of a Dopp kit, or toiletry bag. It will hold a few jars of flower or concentrate and all of your accessories, pipes, papers, and other cannabis accoutrement. It truly is smell-proof, too, making sure that your medicine keeps its scent to itself. Best of all it comes with a combination lock that will keep your kids, pets or co-workers out of your stash. Black Rock also offers other sizes of smell-proof stash organization, like the smaller safety case or the larger backpack. For the stylish ganjapreneur that might tote a purse, there’s another smell-proof solution. 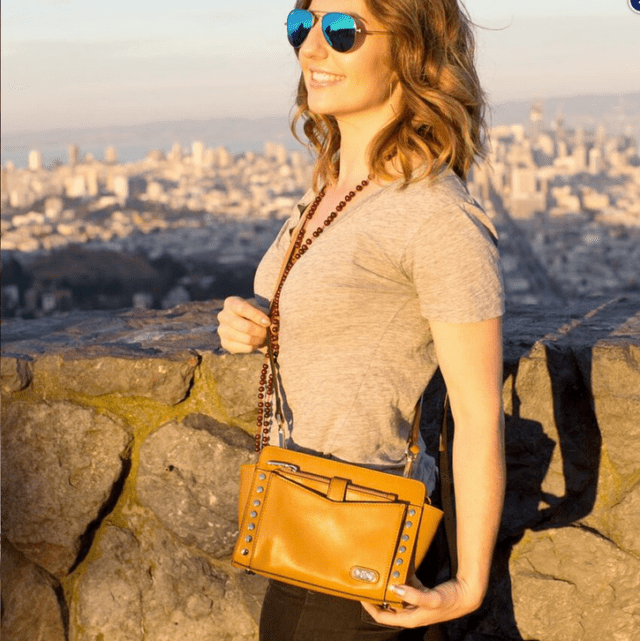 The AnnaBis line of Aroma-Block handbags fuse beauty and functionality for the cannabis professional with a more feminine appeal. The bags feature multiple style choices. 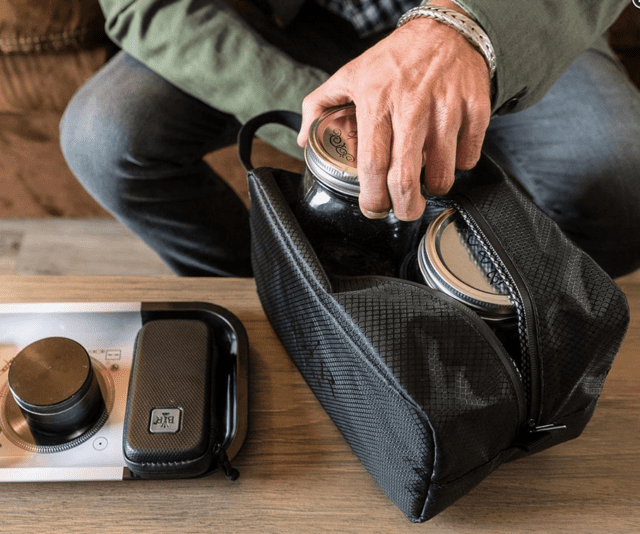 There are two separate smell-proof compartments inside each bag — one that’s in plain sight and a larger one that lives under a concealed flap of fabric. The bags also contain details like cell-phone pouches and sleeves for pens, lip gloss, or lighters. Hakuna Supply is known for their amazing stash boxes. Those can make great gifts on their own, but we wanted to include a gift for the future ganjapreneurs who live in places where cannabis prohibition is still in effect. 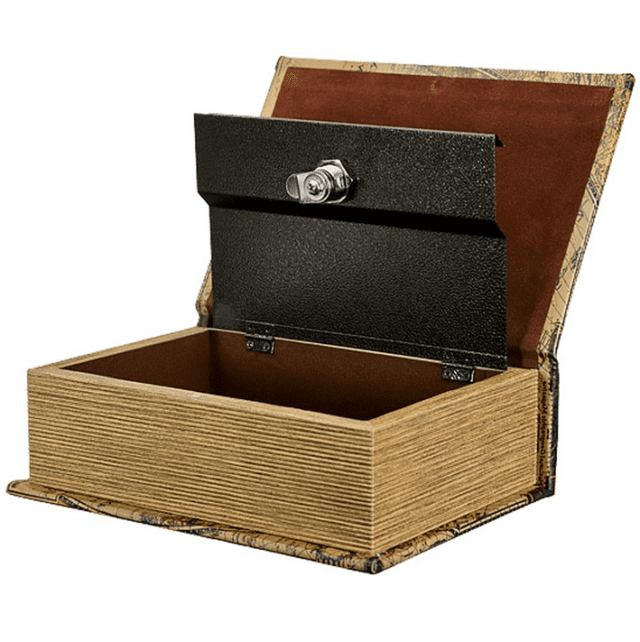 The book boxes are real metal safes concealed within a faux-leather book exterior. The inside is lined with soft felt to keep your glass pipes and jars safe from jostling. The books lock with a metal hinge, concealed beneath the cover. It’s a perfect way to corral your stash and keep things discreet in your office or home. Love the ritual of rolling a joint or loading a new smoking piece? Give these standout smoking-gear gifts to help a colleague or loved-one imbibe in style! Exotic rolling papers are one of the best ways to stand out at the holiday party or win that round of white elephant without breaking the bank. 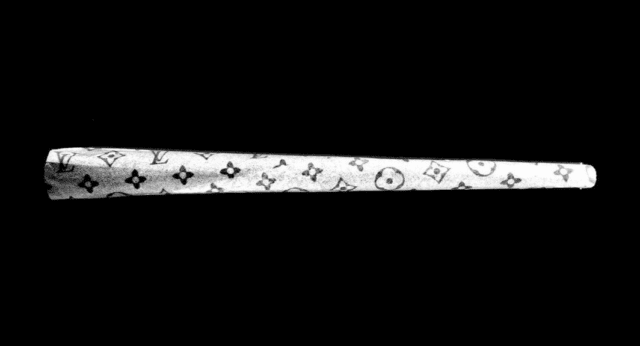 Luxe makes a fantastic line of beautiful, unique rolling papers in a variety of patterns. All the patterns are inspected by master paper-makers at printing and produced using only organic ingredients and vegan glue. Some of the patterns were even created by famous brands like Versace and Louis Vuitton. 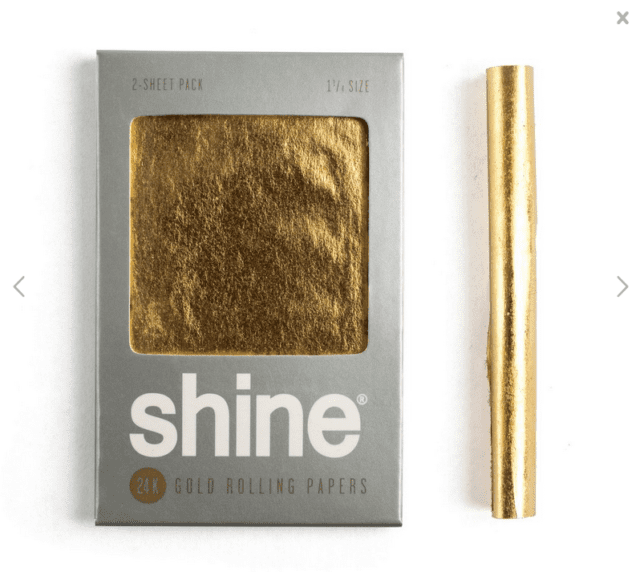 While some rolling papers might make a great gift for the under-$10 crowd, for those who want to let the world know their cannabis startup just got acquired we recommend the Shine 24K gold rolling papers. The papers are made with hemp and a layer of real 24K gold on the outside. As they burn — nice and slow to savor the cannabis — the gold becomes mixed into the ashes, letting everyone at the acquisition party know who the high-roller is. They even make blunt wraps! For the ganjapreneur who prefers using a classic waterpipe to consume their cannabis — but who deserves something unique, nonetheless — we recommend Zong Glass. Zong has been making custom glass pipes since the early 1990s in San Diego. They’re a piece of cannabis history, originally crafted in a time when you really needed to pretend that your pipe was for tobacco. Their trademark kink keeps the bongwater inside the piece if tipped over. 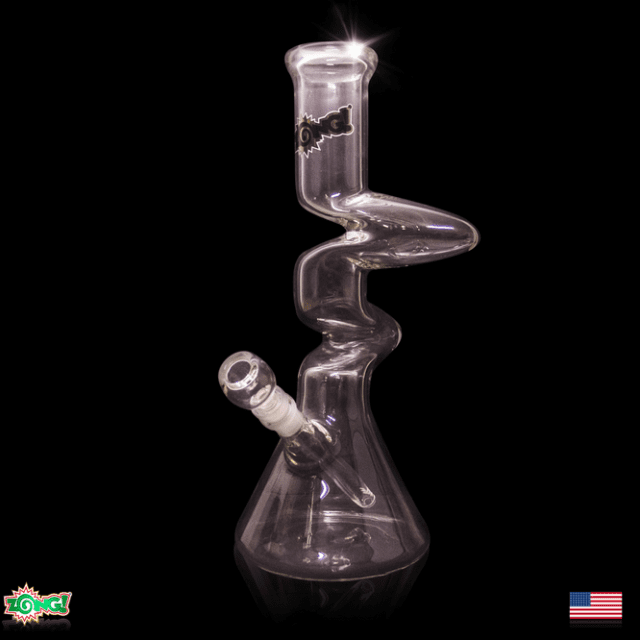 The classic zong can be laid entirely on its side without spilling, in fact. Some people like to go light and fast in life and in cannabis. Made from titanium, the Danglebong is light-hearted in name and light in weight too, perfect for the outdoors enthusiast in your life. 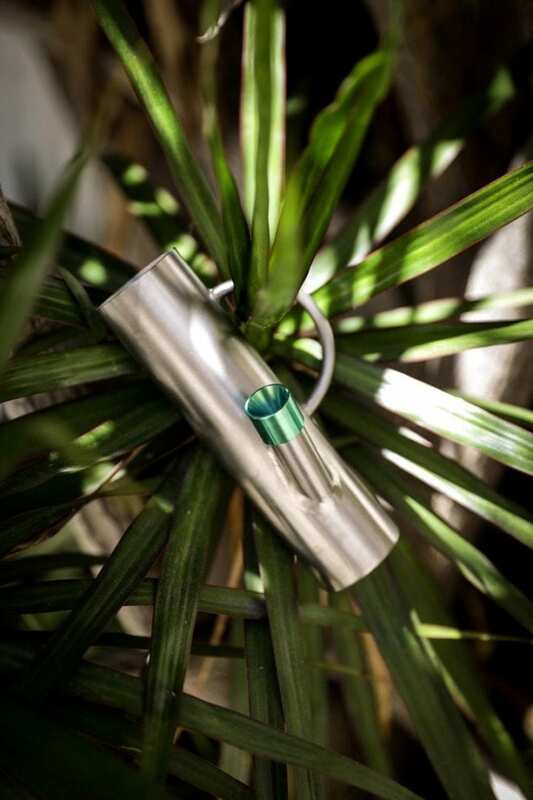 The titanium water pipe is unbreakable and has a small handle that clips perfectly to the outside of a backpack, under the seat of your bike or to the belt-loop of your jeans while you pop out on that mind-expanding hike. Danglebong also makes a variety of other ultralight titanium pipes for those that want something even more compact. Help someone on your cannabis Christmas list get that joint rolled or that pipe packed with these awesome cannabis pocket tools! The Nuggy Hybrid and Nuggy Vape are both great multitools for the serious cannabis consumer. Anyone who regularly uses a vape or pipe knows how often you need some sort of tool to help with loading or cleaning. 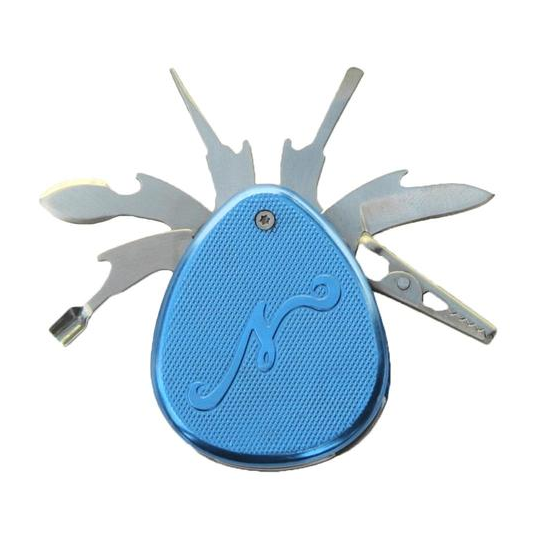 The Nugtool has a scraper, cutter, tamper, a roach clip, and more. It’s encased in an aluminum shell and comes shipped in a white gift box. It folds down and stores easily in your stash box or bag so you never have to be without your multitool. 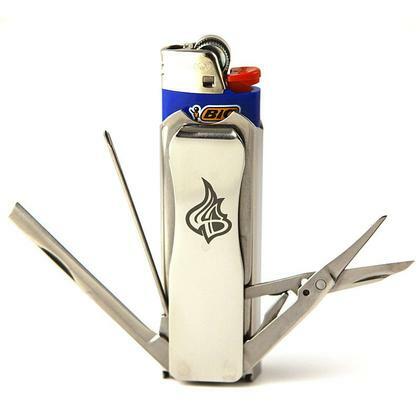 Lighter cases are a common piece of swag and personalization for the cannabis enthusiast — but what if there were tools like scissors, a knife, or a stir stick built-right in? That’s exactly what the Lighterbro is. Not only does it function great for your smoke sesh, it also works great in everyday life. There’s a micro-Phillips screwdriver for working on those tiny screws in your eyeglasses or electronics and a bottle-opener built into the bottom of the case so you don’t have to damage your lighter just to get that bottle of beer or cannabis-infused soda open. Available in a variety of finishes and colors! For those among us obsessed with gadgets or just plain lazy like I am, there’s the unique Banana Bros. Automatic Grinder and Roller. 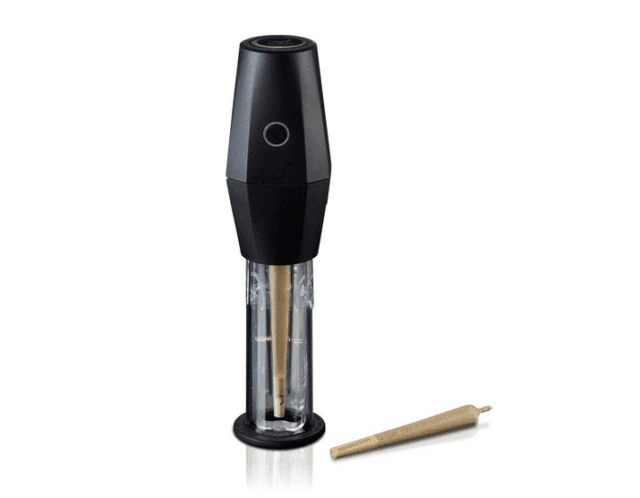 This handy device will not only grind your cannabis — it’ll also pack it into a filter cone. It’s almost unbelievable but you can go straight from bud out of the stash jar to joint without any work on your part. Not only is it easy, but it packs it the same way every time to prevent canoeing, waste, or uneven dosing. It’s battery-powered, too, so it travels as well as you do! Fill your business partner’s heart with joy and head with facts from these informative and entertaining cannabis books. 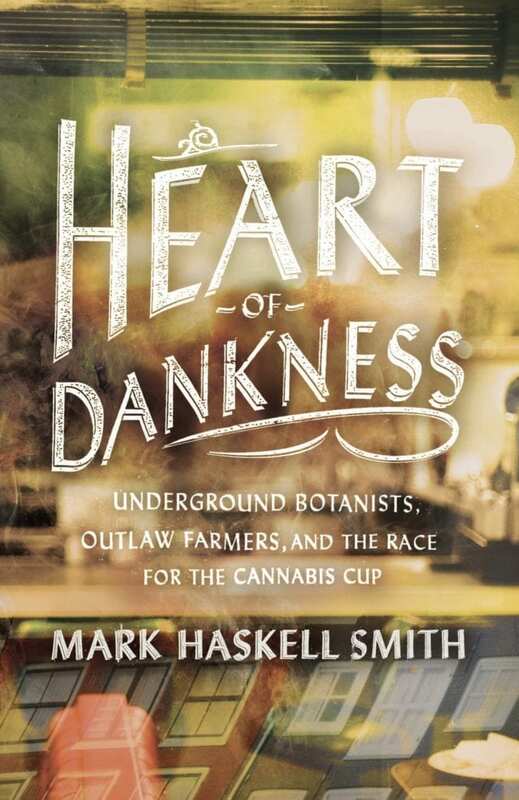 Mark Haskell Smith’s narrative non-fiction foray into cannabis culture is a must-gift to anyone who appreciates old-school cannabis culture or new-school cannabis research. Smith goes around the world from California to Amsterdam chasing down exactly what a perfect strain is and the people who make it happen, written in a page-turning-novel format. Hailed as “an insightful and fascinating story” by the Los Angeles Review, Heart of Dankness is the perfect gift for a business major who’s just stepping into the cannabis industry or for that passionate cannabis advocate in your life. This guidebook is an amazing resource for all aspects of the cannabis experience. Leafly has collected information on the history, chemistry, and methods of consumption of the cannabis plant. They’ve even got a “troubleshooting” section to help talk you down from being too high. This guide is a great gift for the cannabis beginner who wants to learn how to roll a joint or the old-school smoker looking to catch up on terminology and modern strains. 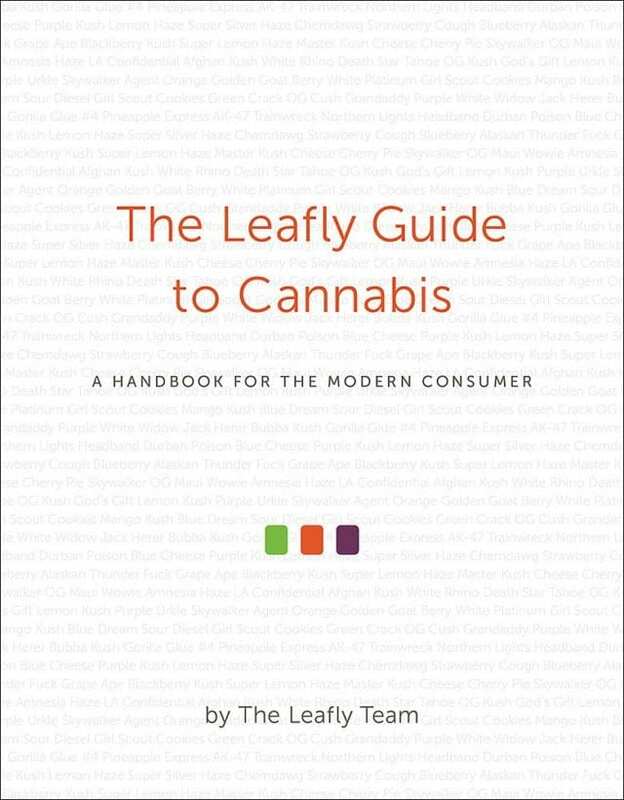 Leafly is a known authority on cannabis, possessing one of the largest databases of strains and their effects currently available on the internet, and the Leafly team’s book is a great way to get some of that knowledge for yourself. This beautiful, photographic field guide to cannabis strains is perfect for the reception area of your cannabis startup or the coffee table in your home. 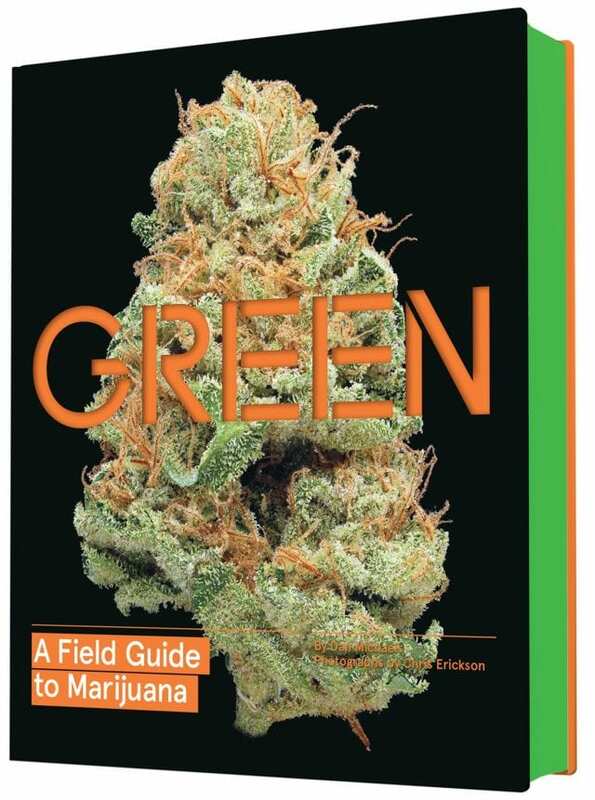 Green is filled with hundreds of pages of large, high-resolution photos of cannabis buds and the effects, taste, and lineage of those strains. If you have a cannabis aficionado in your life whose coffee table is empty or if a cannabis entrepreneur in your life needs a little more flash in their waiting room, pick them up a copy of Green. There is no other cannabis book on the market that can compete with this one’s quality of photography. Cannabis is medicine. Because they’re THC free, these CBD gifts can even be given to loved-ones in states that still prohibit cannabis. Club Hemp has a number of Hemp oil and CBD-rich products that may appeal to gift-buyers this season. 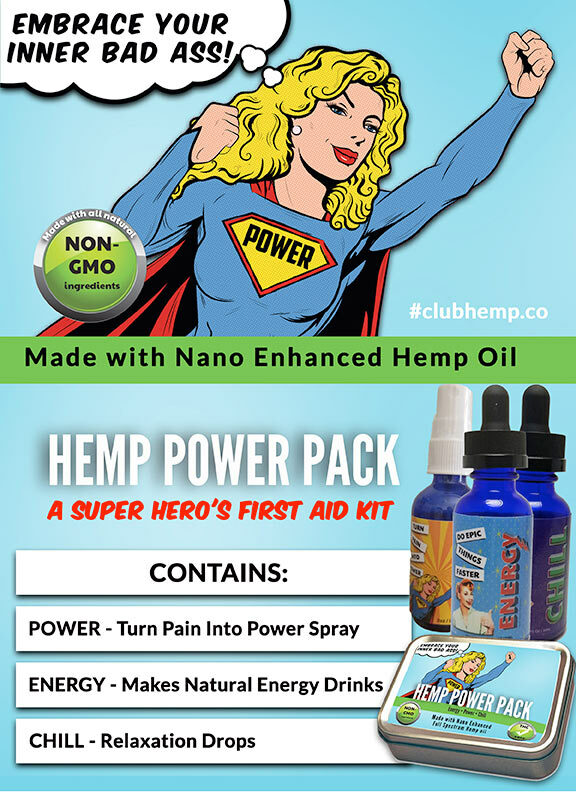 Club Hemp likes to say they sell unique experiences, and the three different formulas of hemp oil extracts in their Power Pack — each designed to produce a specific feeling — certainly indicate that. They also make other wellness products, like pain-relieving sprays and beauty products like hemp body butter. Club Hemp’s offerings don’t stop at gifts for other people, either — they also offer a variety of CBD products for your fur baby. 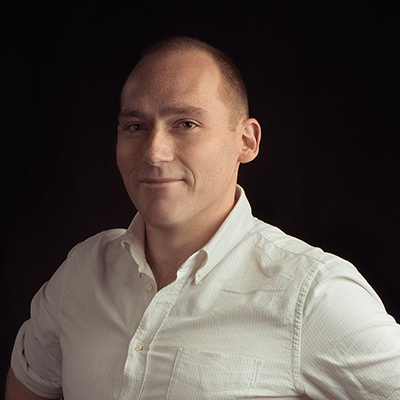 Nothing is as important for an entrepreneur as maintaining a focused and relaxed mind. Club Hemp’s offerings are made from trustworthy, pure hemp oil from plants grown in Colorado. Use coupon code “thanksgiving” to receive 25 percent off if buying on Cyber Monday! 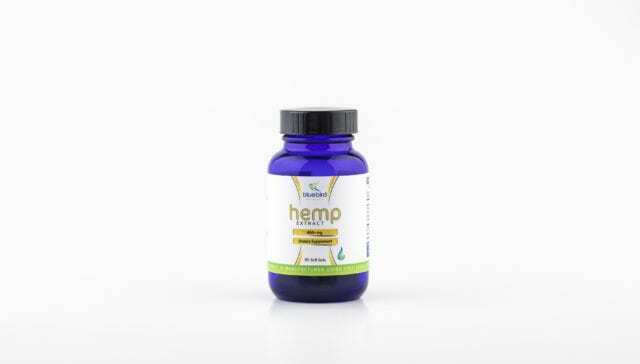 Bluebird Botanicals produces a number of hemp extract, CBD-rich supplements. Our favorite in the Ganjapreneur offices, however, are the hemp oil capsules. Containing 15mg of CBD per dose, these capsules are a quick and easy way to kill pain or take the jittery edge off that tenth cup of coffee. Bluebird Botanicals prides themselves on the purity of their products. They also use a full-spectrum hemp extract that includes other phytochemicals and cannabinoids for true healing. If there’s someone in your life that has a need for medicine without the altered state of mind from THC, we recommend Bluebird Botanicals. Your dog deserves a gift this holiday season just as much as anyone else — and maybe more. These crunchy CBD dog treats will help your old dog feel young again or take the edge off their anxiety. The Innovetpet treats come in several flavors, including steak & cheese, salmon & sweet potato, and maple bacon & berries. If your dog is anxious or has painful joint inflammation, these treats just might bring back them back to puppy shape!